TorrenTech.org / Torrentech / TT – is the largest tracker with a seven-year experience and fresh techno music and other dance genres. The main specialization of the resource – is a high-quality electronic music. It is possible to download the tracks of past years and the trends of the year. Tracker is well organized, it is made in the form of a forum where everything is divided into categories and groups, and you can easily find a lot of useful material on music. Among other things, there is also an information about setting up radio stations, handy diary and even online store. There are different types of distribution, from V0 to Flac. 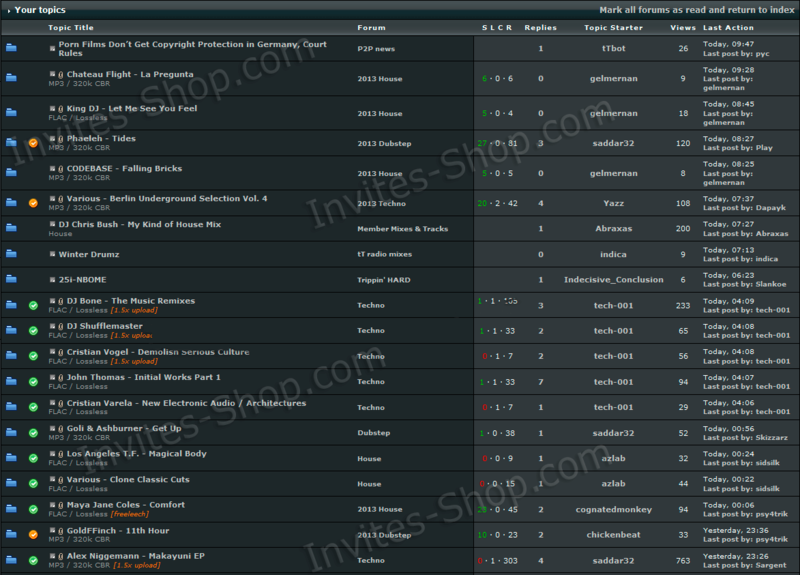 Most of the rare releases downloaded from Beatport and similar sites. An invite to Torrentech will allow you to access these compositions. The tracker is highly recommended to fans of fresh electronic music. ill give u an for free, just email me. doesent check the email alot any longer so may take some time, but you will get it deffinetly !! Very professional quick service. Recommended! !